Awash with transparent feminine elegance, this sea green gown oscillates with lace, sequins and light embroideries. 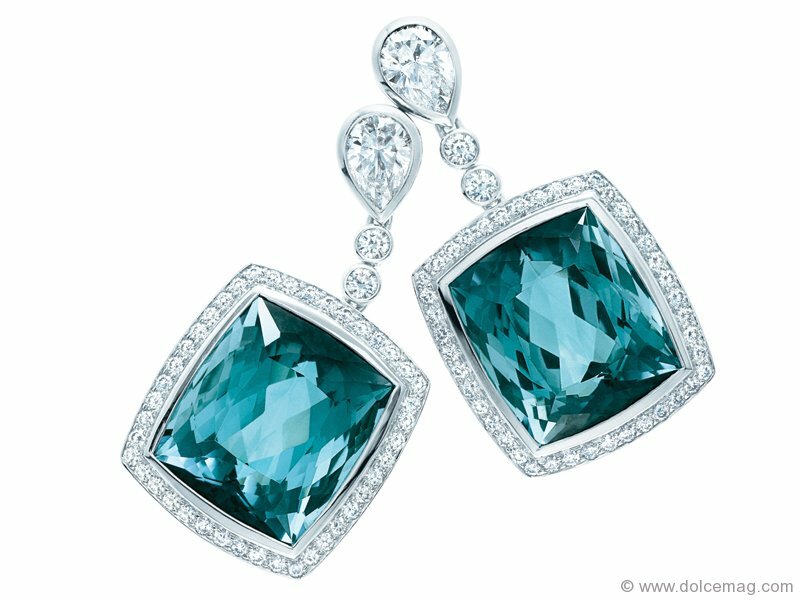 Make waves with over 300 carats of faceted emerald beads. 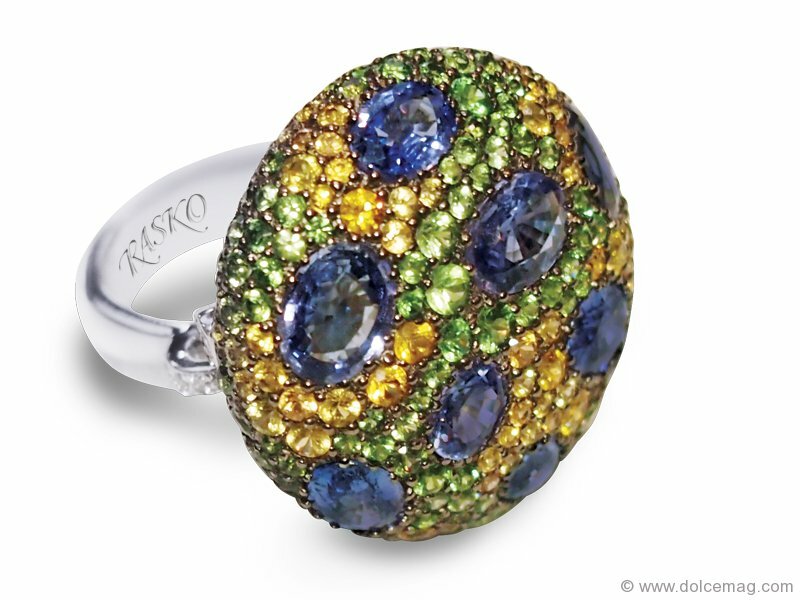 A magnetic meadow of gems and diamonds unite in this 18-karat white gold dazzler. 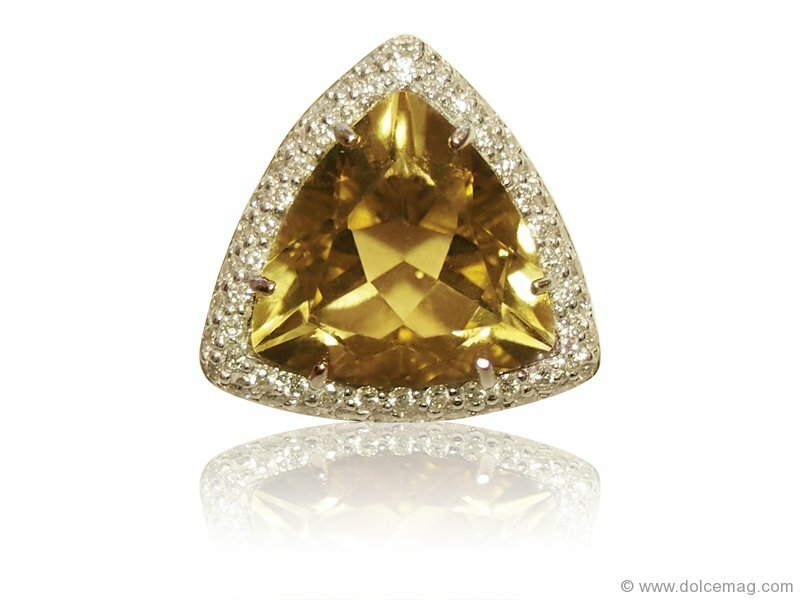 Eavesdrop on a whisky coloured trifecta of 18-karat white gold, trillium-cut lemon stone and round brilliant-cut diamonds. 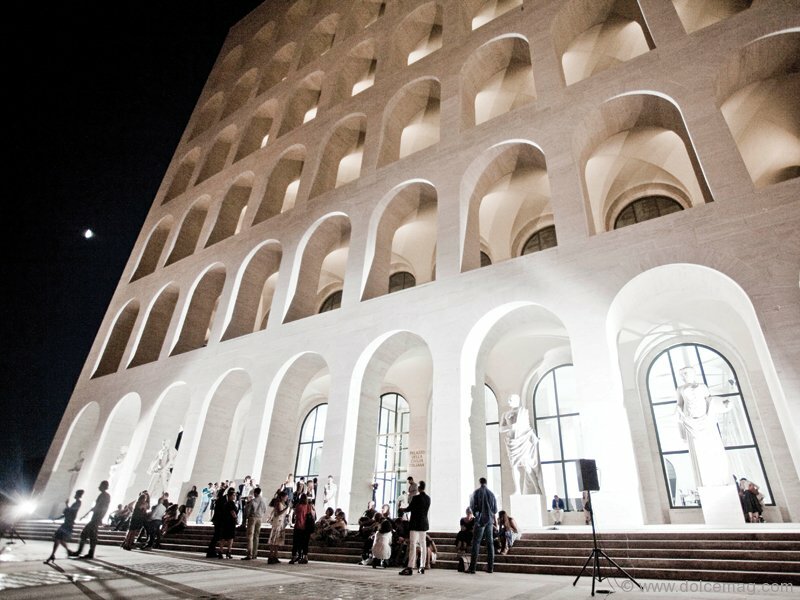 Art, fashion and novelty culminated in an exhibition of neo-couture at Rome’s Limited/Unlimited event. A collection of designers revealed its own interpretations of dressmaking, with limited-edition items ranging from clothes and accessories to shoes and jewelry at the Palace of Italian Civilization. The raw talent of Jack Guisso receives howls of approval with a gown that prowls the runways of Rome with animal instinct. 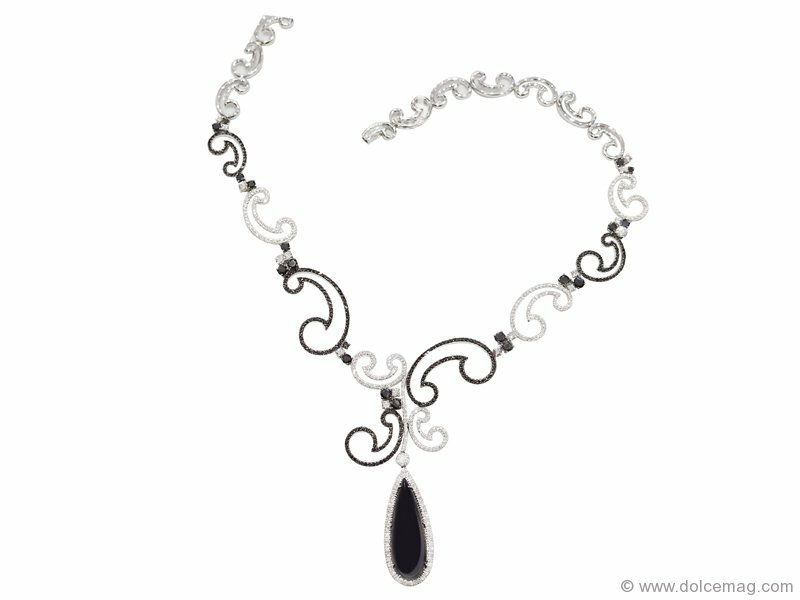 Dipping seductively into womanly curves, this white gold necklace weds onyx with black and white diamonds (707 of them!) for a mysterious trail of luxury. Your finest crystal collection couldn’t put a finger on this. 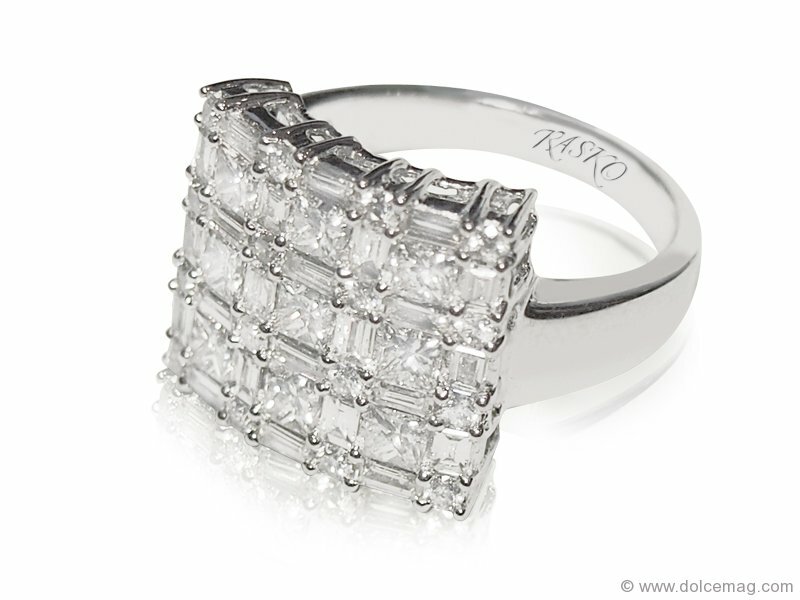 Gleaming with 16 princess-cut diamonds, why would it even try? 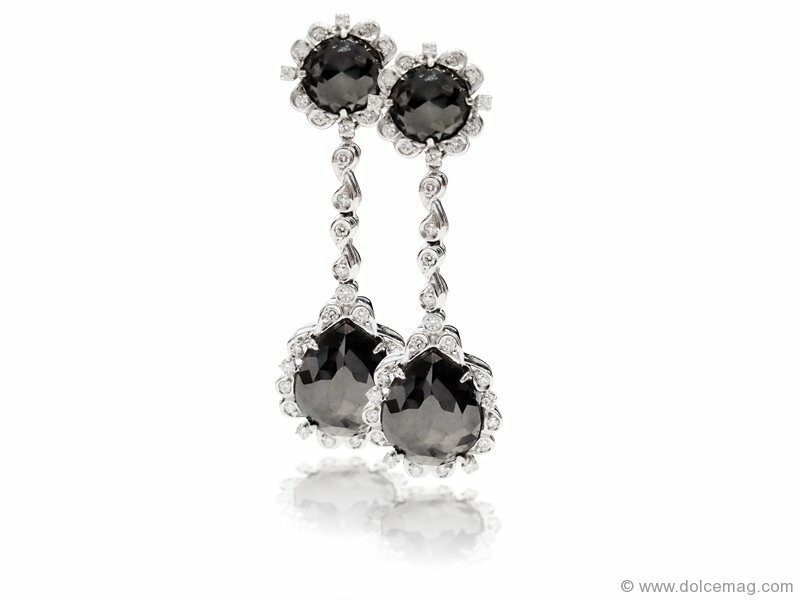 Standing tall and dignified, these white gold earrings with four rose-cut black diamonds add ear-catching glamour for a night on the town. 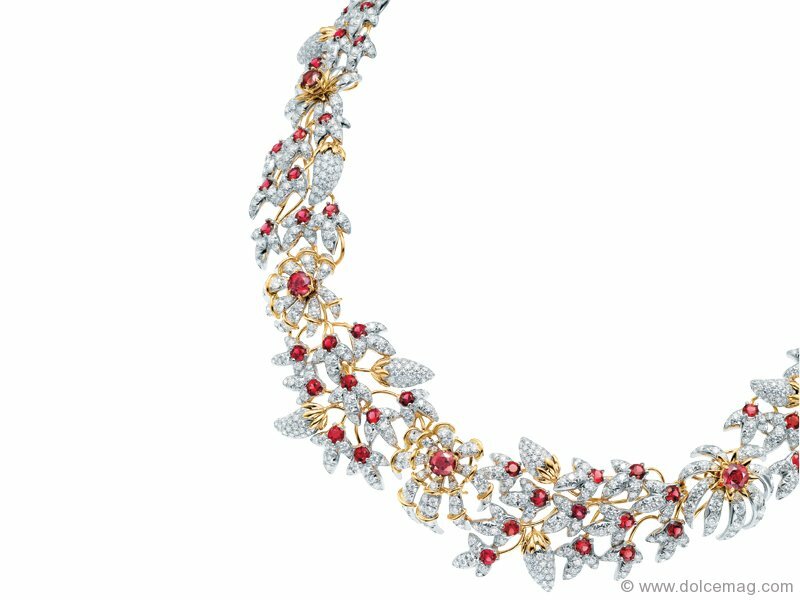 Rub shoulders with Jean Schlumberger’s stunning conique necklace, swathed in exquisite diamonds and red spinels set in 18-karat gold and platinum. Plunge into the depths of untold beauty with renowned jewelry designer Jean Schlumberger. 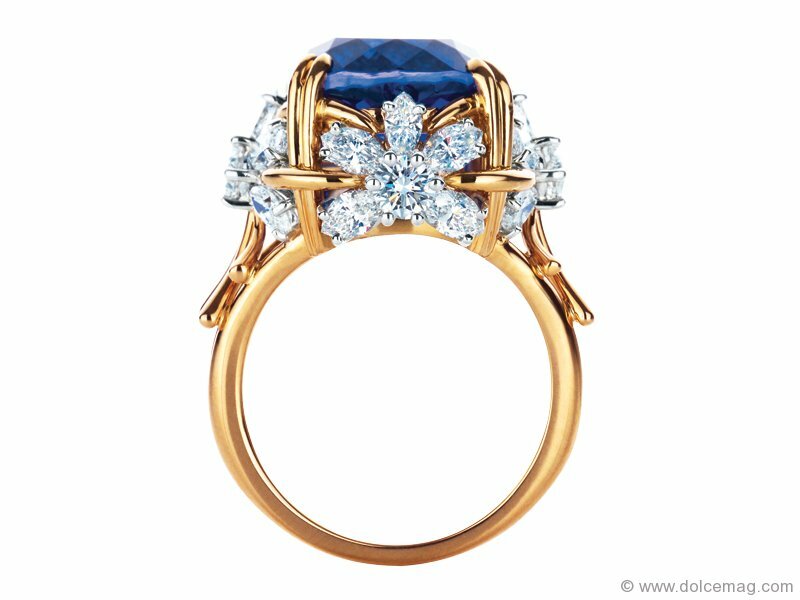 The Four Flowers ring blooms with marquise diamonds and a cushion-shaped tanzanite set in 18-karat gold and platinum. A passionate pursuit in persimmon orange radiates warmth and seduction for a modern woman inspired by history.